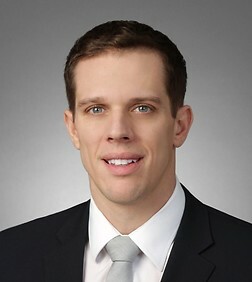 Drew Svor is an Associate in the firm’s Washington DC office and a member of the firm’s Communications Practice Group. Mr. Svor’s practice is focused on technology, media and telecommunications, with an emphasis on satellite, wireless, and new technologies. Mr. Svor counsels companies on all aspects of communications law and regulations. Mr. Svor also represents companies on a wide range of matters before the Federal Communications Commission, including rulemaking, licensing and enforcement matters. He also counsels clients with respect to international telecommunications issues, including frequently representing companies before the “Team Telecom” Executive Branch agencies as well as the Committee of Foreign Investment in the United States (CFIUS). Mr. Svor frequently speaks and writes on telecommunications matters, including at events hosted by the Federal Communications Bar Association (FCBA) and the ABA Space Symposium. OneWeb. Corporate and regulatory advice to OneWeb, the latest satellite venture from Greg Wyler (founder of O3b). KTSAT. Regulatory and litigation counsel to KTSAT of South Korea in connection with a dispute over rights to an orbital slot and satellite over Asia. SES Government Solutions. Served as corporate and government contracts counsel to SES GS in connection with a hosted payload agreement. Global Eagle Entertainment. Served as corporate counsel to Global Eagle in connection with its long-term agreement with SES to provide capacity on its Ku-band and HTS satellites for Global Eagle’s inflight-connectivity systems. AsiaSat. Served as corporate, finance and export control counsel to AsiaSat in connection with a hosted payload agreement with GeoMetWatch. Iridium. Served as corporate and government contracts counsel to Iridium in connection with a hosted payload agreement. Satmex. Served as corporate and regulatory counsel to Satmex in connection with a hosted payload agreement and related FCC market access application. Eutelsat America. Regulatory counsel to Eutelsat America Corp. with respect to the E172A satellite and related FCC licensing matters. Represented multiple private equity groups in connection with the acquisition of U.S. telecom operators before Team Telecom and CFIUS. CFIUS advice to global satellite operator in connection with foreign investment into US-based subsidiary. CFIUS advice to Chinese conglomerate with respect to potential US investments. CFIUS advice to Symantec in connection with the sale of the Veritas information management business to the Carlyle Group, an $8B transaction. Dryad. Corporate and regulatory counsel to Dryad Communications in connection with the sale of wireless licenses. Sempra Energy. Provided company FCC regulatory advice to Sempra Energy regarding the wireless licenses held by their subsidiaries Southern California Gas and San Diego Gas & Electric. Aspider. Represented Aspider, a Europe-based mobile virtual network enabler (MVNE), in connection with wireless roaming issues in the U.S.
Sikorsky. Served as FCC regulatory counsel to Sikorsky on numerous FCC and spectrum related issues. Xsight Systems. Represented Xsight Systems Ltd. in obtaining an FCC equipment authorization for its FODetect airport runway detection system. textPlus. Provided corporate and regulatory advice for their "Over-the-Top" messaging service. Brandtone. Provided corporate and regulatory advice to Brandtone in connection with the launch of their mobile marketing service in the U.S.
Crouzet. Provided regulatory advice to Crouzet, a French manufacturer of automation control components, with regards to its wireless automation products. Observant. Provided regulatory advice to Observant, an Australian provider of remote management solutions, with regards to its wireless automation products. ZTE. Provided regulatory advice to ZTE, a China-based mobile handset manufacturer. Metaswitch. Provided regulatory advice to Metaswitch Networks, a UK-based company that designs and manufactures telecommunications hardware and software. Aastra USA. Provided regulatory advice to Aastra, a leading global enterprise communications provider. TCL Communications. Provided regulatory advice to the U.S. subsidiary of TCL Communications, a China-based mobile handset manufacturer. Western Digital. Provided regulatory advice to Western Digital regarding its home entertainment products. Will.I.Am. FCC regulatory counsel to Will.I.Am from the Black-Eyed Peas in connection with a new wearable device. TVB. Corporate advice to Hong Kong-based TVB regarding television distribution rights in the United States. TV5. Provided corporate and regulatory advice regarding content television distribution rights for TV5, a Philippines based TV program. Pappas. Provided regulatory advice to Comerica Bank in connection with the bankruptcy of Pappas Telecasting. MoonScoop. Provided regulatory advice on closed captioning to MoonScoop, a French animation and production company. Cox. Represented Cox Cable in connection with state and local licensing matters related to new broadband deployments. Served as corporate counsel to Art Enables, a DC-based nonprofit, on corporate governance and transactional matters.